So, what day is it on Sunday? Where are we going tomorrow? OK, tomorrow we are off to Paddy’s Land for the day, Dun Laoghaire to be exact, to have lunch with our good friend (and illustrator of Bethesdabasics) Wendy. 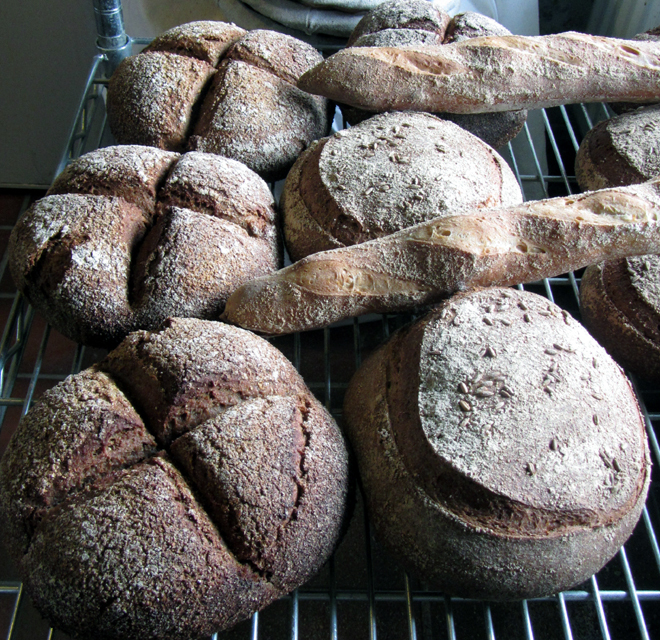 And the loaves on the left are Bethesdabakers’ latest traditional creation, St Patrick’s Treacle Bread. So there’s a couple of clues. Wheat, rye, oats, wheatgerm, treacle and, of course, Guinness, destined for Gert’s customers at his pop-up restaurant this weekend. 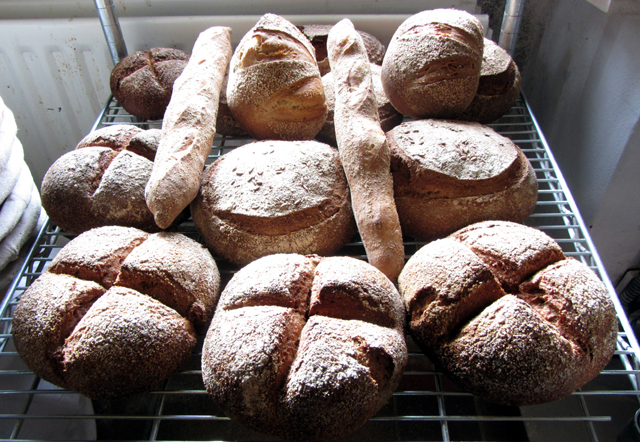 Lovely scoring on those round loaves Mick, looking good. With the treacle breads you have to be brave and push your scraper right through the dough twice to form a cross immediately before they go in the oven and just tell yourself they will rise again – and we’re still in the middle of Lent. How’s it going in your part of Wales?